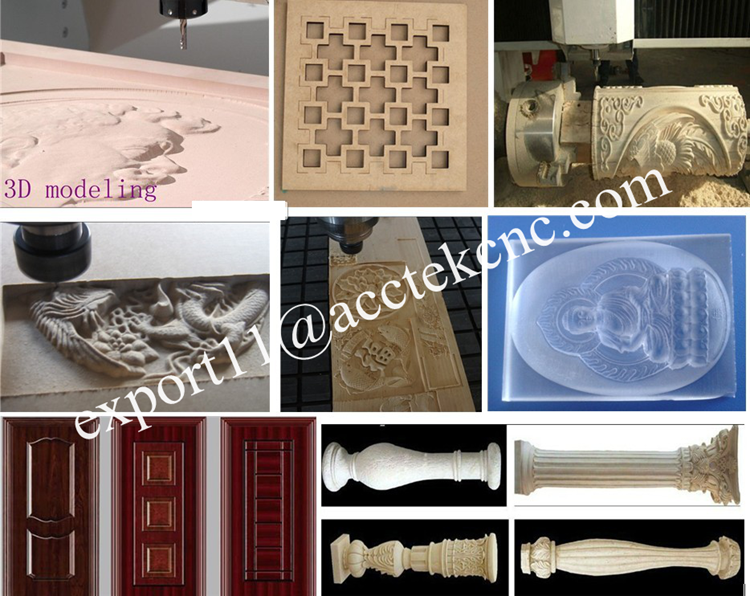 ATC cnc router is widely used in woodworking industry,cupboard,craft wood door,process window home furniture product milling form sculpture. 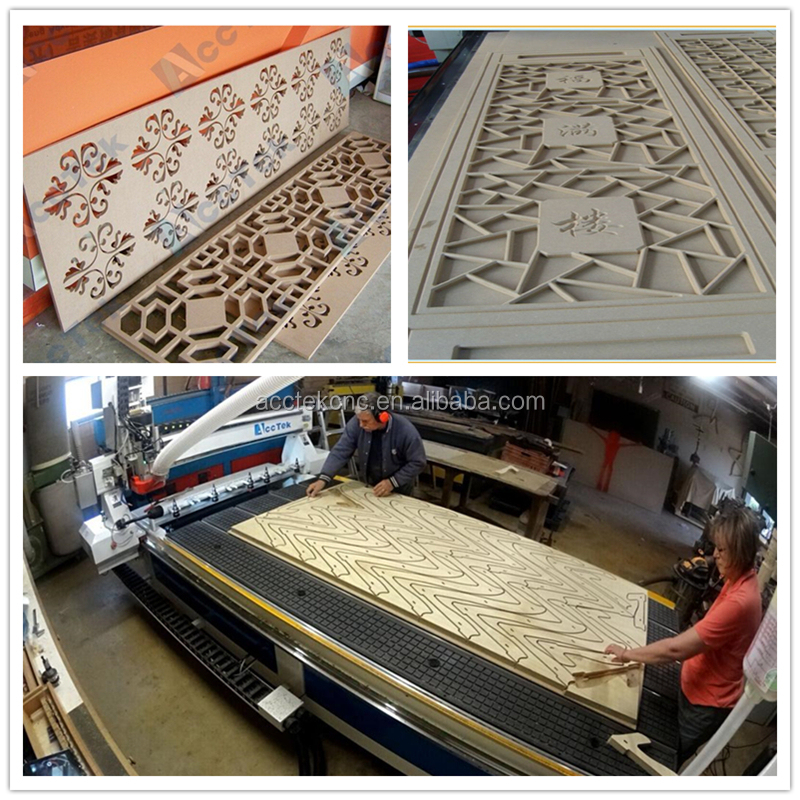 Mainly for the production of cupboard door,real wooed,the furniture and so no,also can be used in the production of MDF cutting. 1> Welded structure by thick profiled steel stabilized under high temperature, ensure minimum distortion, excellent rigidity and powerful strength. 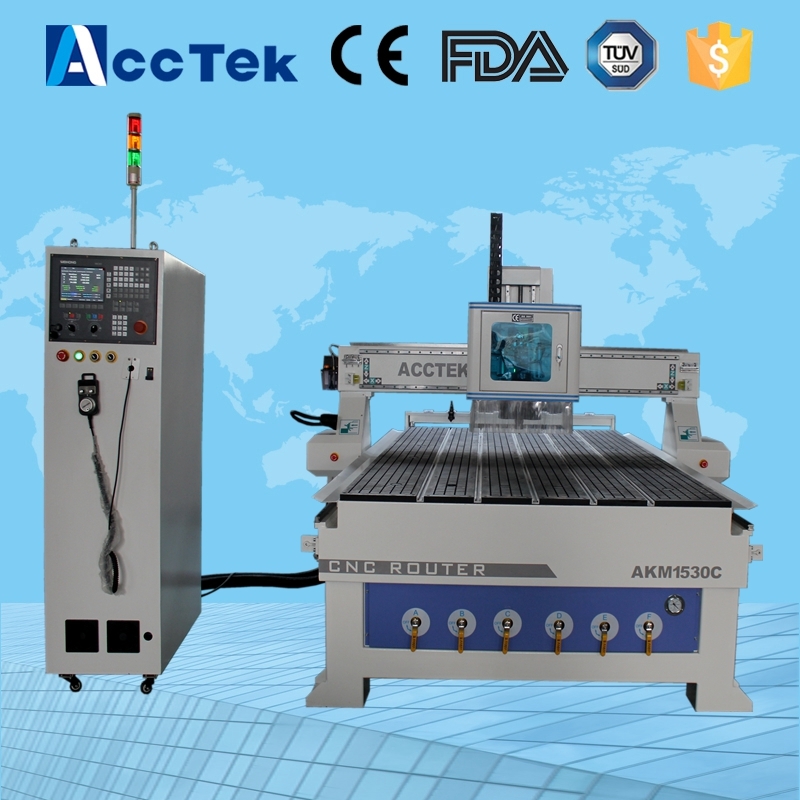 2> Machine is mainly assembled with precise parts. 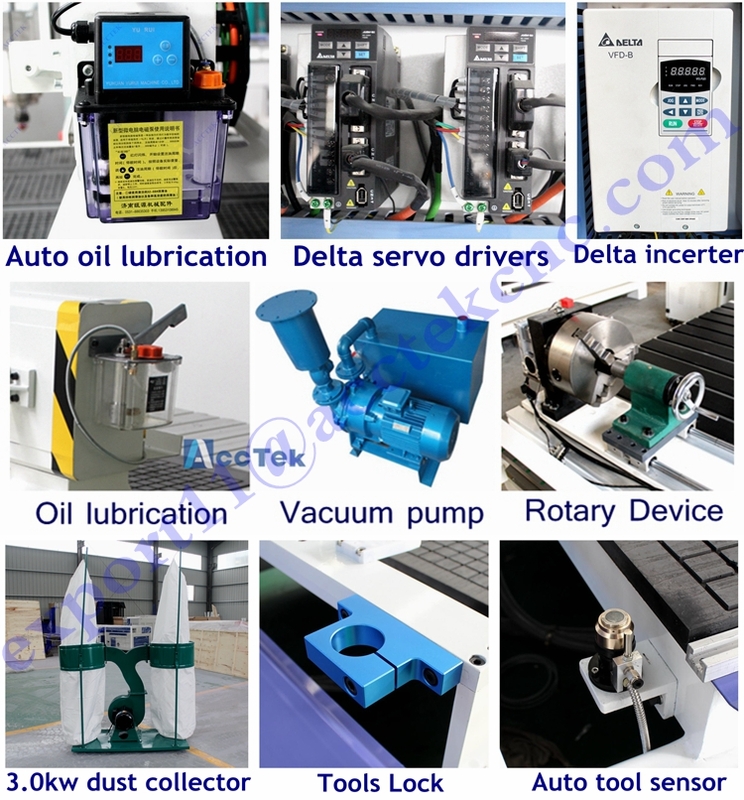 Taiwan Delta servo motors and drivers, makes machine stable running with low noise, high speed and accuracy. 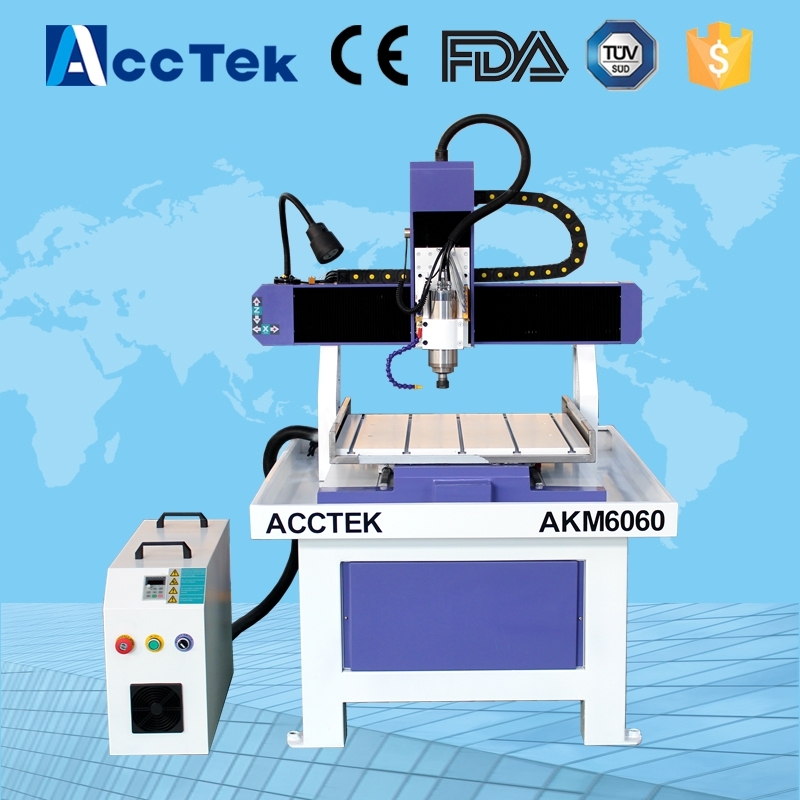 Z axis is with band brake, very powerful in use. 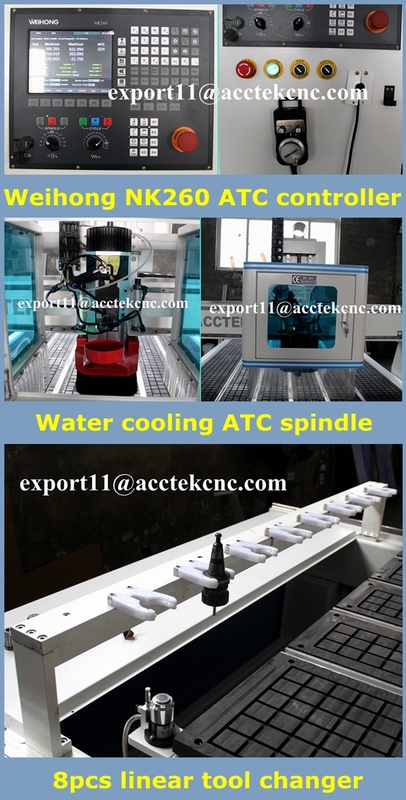 3> Chinese Changsheng water cooling spindle, ensure high precision, long service time and stable movement. 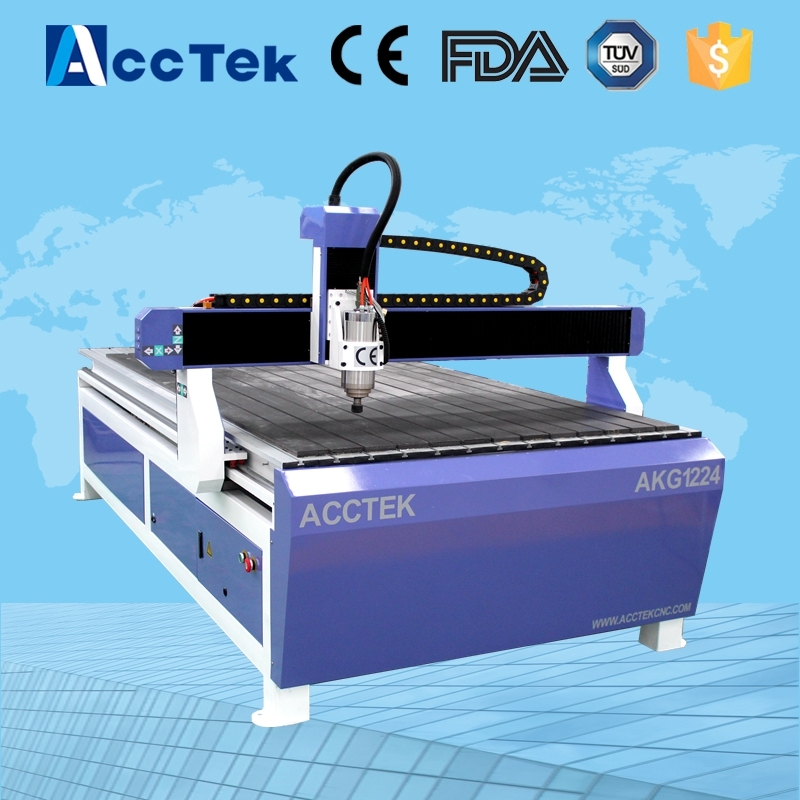 Powerful in cutting & engraving, has after-sale service all over the world. Matched with Taiwan DELTA inverter. 5> Taiwan SYNTEC 6MB control system,support offline operation; Even there is sudden electricity power-off, you needn't reset from beginning. 6> HIWIN linear rail from Taiwan, smooth and precise transmission, low noise; Lifetime is 10 times longer than common rail way. 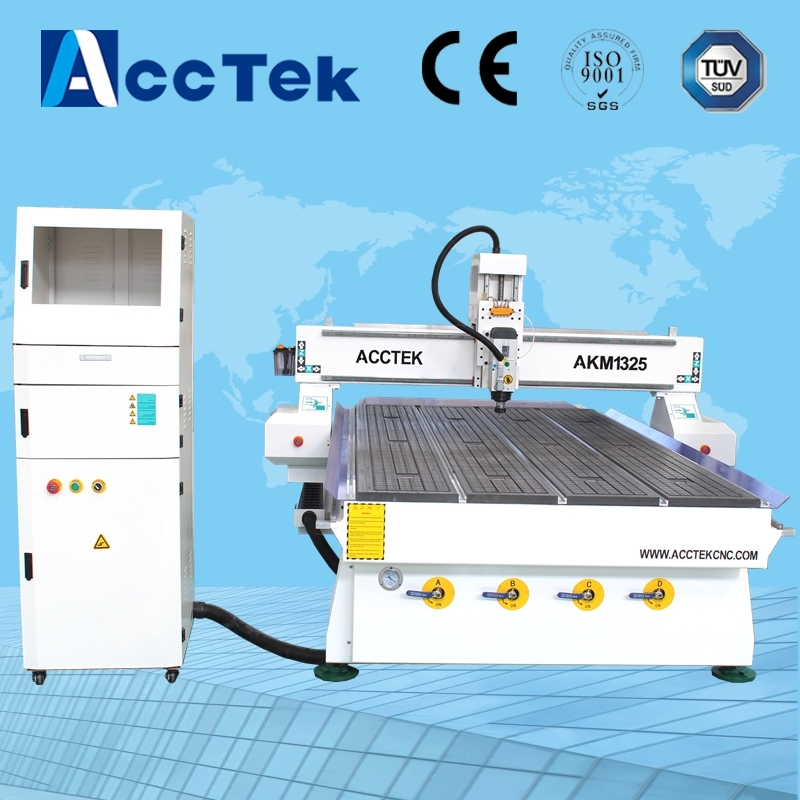 7> Vacuum & T-slot worktable, can both absorb big materials by vacuum power and fix small materials by clamps. There is MDF board on it for protection. 8> Automatic lubricating system, one touch can finish periodic maintenance easily. 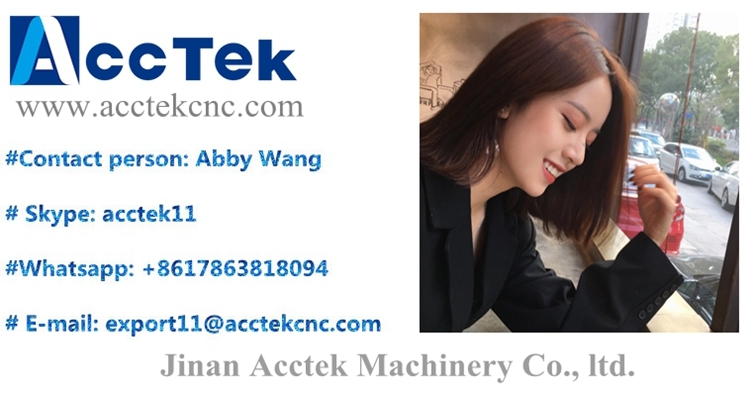 1)1years quality guaranty, the machine with main parts(excluding the consumables) shall be changed free of charge if there is any problem during the warranty period. 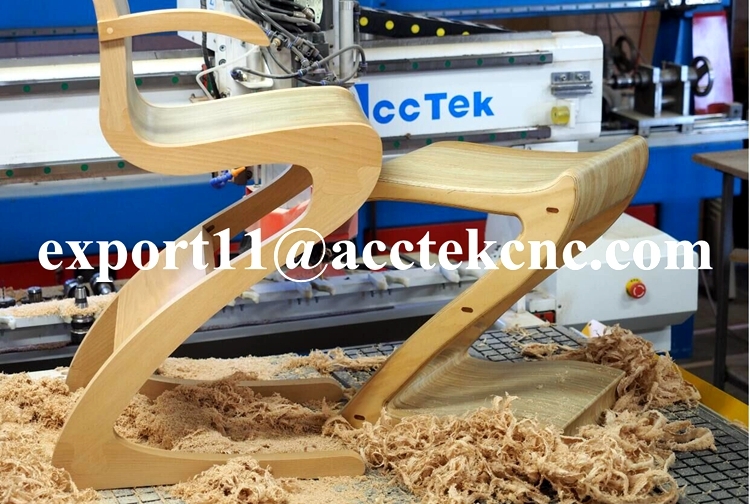 I hope you can sent me email or skype,i am glad to help you choose the suitbale machine. And we are seeking worldwide distributors.I believe Win-win is the good way for us. Please feel free to contact us, you will be the VIP!